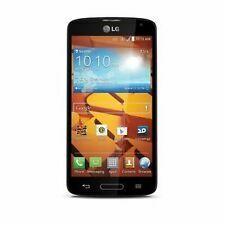 Brand New Sealed -Virgin Mobile Motorola G6 Play 16GB Prepaid Smartphone, Black. 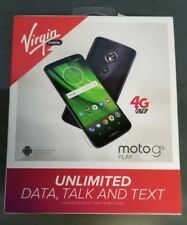 BRAND NEW Virgin Mobile Moto G6 Play 16GB Prepaid Phone. Condition is New. 3G/4G LTE (Where Available). 16GB ROM / 1.5GB RAM. 2600 mAh Battery. We respond to all inquiries within 24 hours and typically much sooner. We are here to assist you! New Gold Virgin Mobile Samsung Galaxy J7 Refine 2018 5.5" Screen 32GB Android. Condition is New. Shipped with FedEx Ground or FedEx Home Delivery. This phone has been protected with an HD Glass Screen Protector since coming out of the box. Samsung Galaxy S9. Samsung Galaxy S9's have a TON of amazing features! Bundle includes - BONUS I'm throwing in 3 FREE hard phone cases. 2 Pac-Man and 1 Ms Pac-Man. -Phone and battery. -Adapter for easy transfer of pictures and files to computer (never used). No contract / prepaid. This phone is fully functional. The phone ESN or DEC is clean. It is still plastics screen tape on it. Samsung Galaxy J3 SM-J320P - 16GB - Gold (Virgin Mobile) Smartphone. Condition is Used. Shipped with USPS Priority Mail. Item brand new in original manufacture package. Trending at $65.98eBay determines this price through a machine learned model of the product's sale prices within the last 90 days. Virgin Mobile Moto E5 Play Smartphone - 16GB 4G LTE 5.2" Screen "NEW" Cell Phone. Condition is New. Shipped with USPS Priority Mail. Virgin Mobile MOTO e5 Play. Condition is Used. Shipped with USPS Priority Mail. Kyocera Brio QWERTY keyboard phone NEW in box. Brand New Sealed. Virgin Mobile Moto G6 Play 16GB Prepaid Smartphone, Shipped with USPS Priority Mail. Alcatel OneTouch Elevate 5017b (Virgin Mobile) - Gently Used and in Excellent Condition. Fast Shipping with USPS First Class upon receipt of payment. Contact me with any Questions. New Sealed ZTE Tempo X Smartphone. Virgin Mobile Motorola Moto G6 Play LTE 16GB 5.7" Screen Prepaid Brand New! 3G/4G LTE, LTE Plus. Android OS. U SA lower 48 states only. 5" HD touhcscreen display. Travel, take photos and communicate with this prepaid moto g6 play smartphone that doesn't require a contract. Motorola Moto G6 Play. Qualcomm Snapdragon 427 processor. Access to Google Play. 4G LTE speed. Go bigger and bolder with the sleek, new Galaxy J7 Refine. Storage 32GB. In the event there is a manufacture defect I will help you obtain a claim to obtain service upto one year from 02/2019. (2)This phone is not for everybody. Bubble Bash 3, Midnight Bowling 3, Diamond Twister 2, UNO. Flip Style Basic Phone. 3.5mm headset jack. 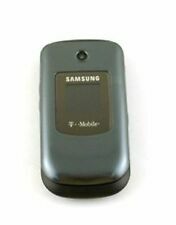 This phone is a CDMA phone. This phone is NOT a GSM phone. This phone doesn't use sim card to operate. 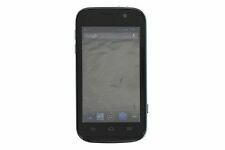 Your bid is for a LOT OF 4 BRAND NEW VIRGIN MOBILE ZTE TEMPO X PREPAID 4G LTE FACTORY SEALED 5”. Brand in in factory sealed retail packaging. Standard shipping is always free or you can upgrade to Priority Mail for only $4 more. Thanks for looking and feel free to message me if you have any questions. MOTOROLA MOTO e5 PLAY CELL PHONE. NATIONWIDE SPRINT 4G LTE NETWORK. 3G/4G LTE, LTE PLUS with 2X20 CA & HPUE. PHONE IS IN EXCELLENT CONDITION. A COUPLE OF SET UP FEATURES AND UPDATES WERE DONE USING WI-FI ONLY. Apple iPhone 6s Prepaid Smartphone with 32GB, Space Gray Straight. We aim to show you accurate product information. Manufacturers, suppliers and others provide what you see here, and we have not verified it. New Virgin Mobile Tribute Empire 16GB Memory Prepaid Cell Phone White F/S! Octa-core 1.5GHz processor with 2GB of RAM. Subject to a 20% re-marketing fee. New Virgin Mobile Tribute Empire 16GB Memory Prepaid Cell Phone White F/S!. Condition is New. Shipped with USPS First Class Package. Apple iPhone 6s - 64GB - Rose Gold (Virgin Mobile) A1688 (CDMA GSM). Condition is Used. Shipped with USPS Priority Mail. No wear or tear, charger included. 1.5GB RAM 16GB LTE ROM. Android 6.3 Marshmallow OS. 5.0" HD touchscreen display. Motorola Moto E5 Play. 4G LTE speed. Share your 4G data connection with other compatible wireless devices. Qualcomm Snapdragon 427 processor. Hold your finger on the fingerprint sensor to unlock your phone. ZTEs Prestige 2 brings superior performance at an affordable price. A 5 touchscreen display provides a rich viewing experience. 16GB ROM/2GB RAM. Android 6.0 Marshmallow OS. Sorry no headphones are included. A nice wood grain looking case and 2 unused screen protectors are also included. Brand New! Virgin Mobile Moto E5 Play 16Gb Prepaid Phone. Condition is New. Shipped with USPS Priority Mail. 16GB 5" Android Prepaid Smartphone. Color: Black. Platform OS Android 4.4.2 (KitKat). - DivX/XviD/MP4/H.264 player. - MP3/WAV/eAAC /Flac player. Bluetooth 4.0, A2DP. Comms WLAN Wi-Fi 802.11 b/g/n, Wi-Fi Direct, DLNA, hotspot. 3.5mm jack Yes. Loudspeaker Yes. Both phones are space grey and unlocked the phones are in excellent condition. This Motorola Moto G6 Play smartphone has 16 GB of storage and 4G LTE and Wi-Fi capability for fast internet access. Color: Deep Indigo. 4G LTE BandBand 1, Band 2, Band 3, Band 4, Band 5, Band 7, Band 8, Band 12, Band 13, Band 14, Band 17, Band 25, Band 26, Band 29, Band 30, Band 38, Band 41, Band 66. Prepaid Phone 836182001173. If you find a number of things you are interested in. Black Color. 3G/4G LTE Enhanced LTE. Nationwide Sprint 4GB LTE network. 8GB storage capacity. You get what is pictured! No contracts, no compromises; simple plans, no hidden fees. Prepaid mobile smartphones provide a way for cell phone users to avoid lengthy phone contracts and credit checks. They also let people manage their mobile phone usage and spending. 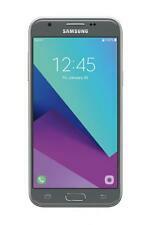 Virgin Mobile offers a selection of pay-in-advance smartphones and plans. What types of smartphone devices are available? The company provides a wide variety of iPhone and Android devices that are compatible with their mobile network. These devices have a range of different features and abilities, but they all provide the ability to make and receive phone calls, send and receive text messages, and connect to the Internet. They also all have a graphical interface. How do these prepaid phones work? Select your device: Do this by selecting a smartphone that has the features you want. Install a SIM card: Take the SIM card that came with the product and insert it into the phone. Activate the SIM card: Do this by contacting the carrier and following their instructions. Choose a plan: Select the no-contract plan you would like to use with your phone. Pay for your first month of mobile service: After paying for your first month of service, you will be ready to make and receive calls, send and receive text messages, and access the Internet. What pay-in-advance plans are available? Data Love: This plan offers 5 GB of 4G LTE data, and unlimited talk, text, and streaming music. Data Love +: This plan offers 10 GB of 4G LTE data, and unlimited talk, text, and streaming music. Data Love Unlimited: this plan offers unlimited 4G LTE data, talk, text, streaming videos, and mobile games. The available plans may change, so it's always important to check with the carrier to see which plans are currently being offered. How are prepaid smartphone accounts paid? You can pay for your monthly plan, or for add-ons like extra data, international calling services, or mobile hotspot services, by logging onto the company's website and paying online. Payment options include credit or debit cards and top-off cards sold by the company. In general, you should pay for service every month. You will get 30 days of service each time you pay. Because this is a no-contract alternative, you are free to change or cancel your phone plan whenever you would like. Content provided for informational purposes only. eBay is not affiliated with or endorsed by Virgin Mobile.